The one constant at a The Tea Party show is how deeply Jeff Martin, Jeff Burrows and Stuart Chatwood connect with their audience, you really feel, not just hear, them during their performances. 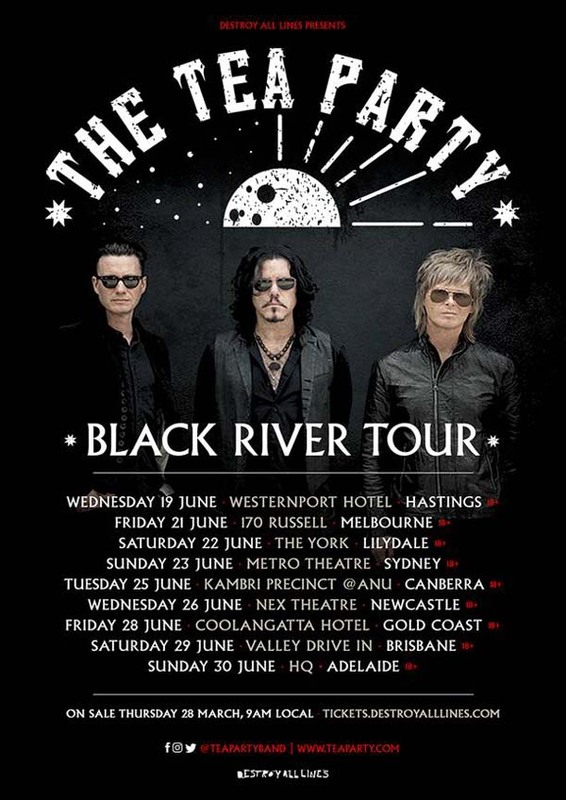 Complex and provocative The Tea Party will be showcasing a treasure trove of songs from across their incredible catalogue and for the first time ever fans will get to witness this in intimate settings across cities and regional areas. This is a once in a lifetime opportunity to get up close and personal with The Tea Party. Tickets on sale 9am Thursday 28 March.